Will the world end on December 21, 2012 at 11:11 UTC when the Mayan calendar finishes? While most people suggest that the said date marks the end of the world, others believe that it marks a transition rather than a catastrophe. New Age believers refer to it as the start of time in which the Earth and its inhabitants undergo a positive physical or spiritual transformation. 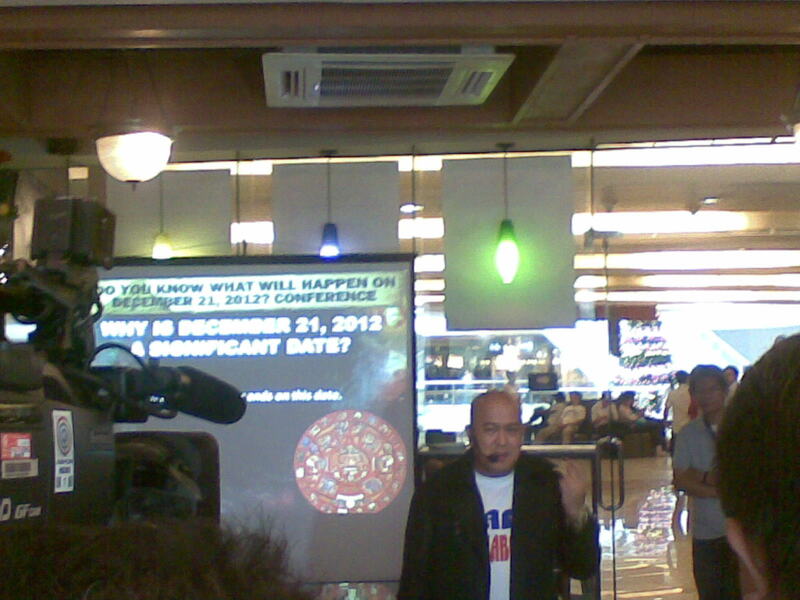 The Philippines' number one success coach declares that there is nothing to be afraid of on December 21, 2012. He urges everyone to shun away from worries and make December 21 a major turning point from poverty to abundance. John Calub has gathered the country's best motivational speakers in the TURNING POINT 2012 Conference to be held at the SMX Convention Center on December 21st. Roster of speakers include Pido Aguilar (best selling author of the book "Abundance"), Dr. Christian Mancao (Pain Management Expert), Tony Suvega (Feng Shui Master), Dr. Kevin Plata (Clinical Psychologist) among others.